In popular perception cultural differences or ethnic affiliation are factors that cause conflict or political fragmentation although this is not borne out by historical evidence. 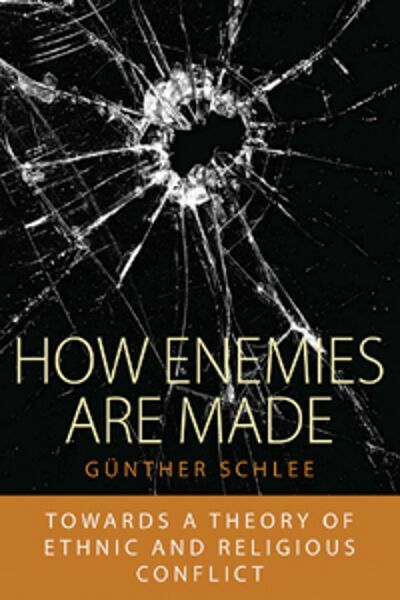 This book puts forward an alternative conflict theory. The author develops a decision theory which explains the conditions under which differing types of identification are preferred. Group identification is linked to competition for resources like water, territory, oil, political charges, or other advantages. Rivalry for resources can cause conflicts but it does not explain who takes whose side in a conflict situation. This book explores possibilities of reducing violent conflicts and ends with a case study, based on personal experience of the author, of conflict resolution. Günther Schlee was a Professor at Bielefeld until 1999. He currently is the director of the section Integration and Conflict at the Max Planck Institute for Social Anthropology, Halle, focusing on Africa, Central Asia, and Europe. His publications include Identities on the Move: Clanship and Pastoralism in Northern Kenya (International African Institute, 1989), How Enemies are Made (Berghahn, 2008), Rendille Proverbs in their Social and legal Context (with Karaba Sahado) and Boran Proverbs in their Cultural Context (with Abdullahi Shongolo) (both Cologne: Rüdiger Köppe).